For many years, the economic value of private forestland could be summed up in one word: Timberrrrr! Many forest owners, large and small, now seek to diversify revenue streams for their forests. Some of these activities (like outdoor recreation and producing maple syrup) are compatible or even benefit conservation. Other activities, such as selling lands for housing development, are much less so. And harvesting timber remains a major economic activity on forestlands across North America. In Maine, a large Nature Conservancy property along the Upper St. John River is now demonstrating another way to diversify revenue streams on private forestland: storing carbon. The funds generated will enable more sustainable forestry practices while also helping to address climate change. The Nature Conservancy purchased 185,000 acres along the upper St. John River from International Paper twenty years ago. As is the case when the Conservancy acquires property, the goal was not just to set it aside from development. The property was to become a forest laboratory, a place where sustainable forestry practices could be demonstrated and researched. Active harvesting remained a part of the Conservancy’s management, although the methods were often different than when the lands were managed as industrial forest. Some areas, including stands of old trees, were identified as reserves where no logging took place. The Conservancy achieved Forest Stewardship Council (FSC) certification on the land. Recently, the Conservancy added maple syrup production. More than 10,000 taps were operated in 2018, with a sugarhouse constructed this year and the number of taps expected to exceed 60,000 within two years. 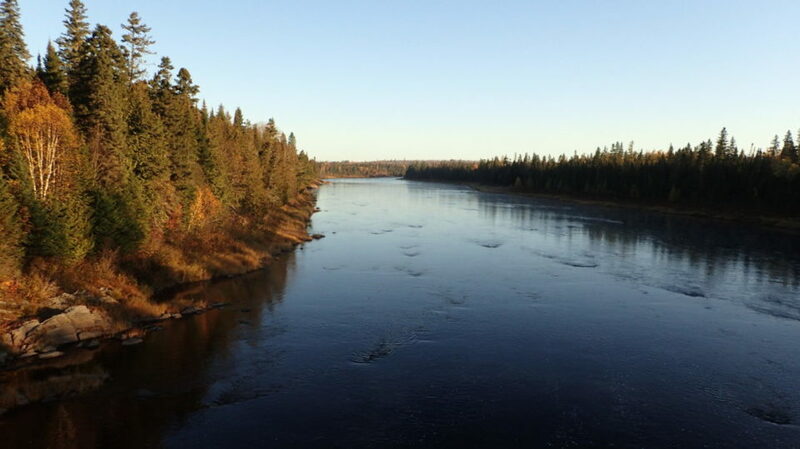 Last year, The Nature Conservancy officially added carbon offsets to its sustainable forest management on the upper St. John River project. A forest carbon project involves a landowner making a long-term commitment to store carbon on their property, with rigorous inventory, verification, and monitoring. A “forest carbon offset” is a metric ton of carbon dioxide equivalent (CO2e)—the emission of which is avoided or newly stored—that is purchased by greenhouse gas emitters to compensate for emissions occurring elsewhere. This market-driven approach provides a natural way to capture CO2 from the air while creating financial incentives for polluters to reduce their emissions, and landowners to manage for carbon storage. The project involves a ten-year agreement with Climate Trust Capital, a U.S.-based private investment fund and an independent entity of the long-standing nonprofit The Climate Trust. Climate Trust Capital is assisting The Nature Conservancy in developing the forest carbon project, including providing technical services, and selling carbon offsets on a cap-and-trade market set up by California and Canadian provinces known as the Western Climate Initiative. “This commitment is long term and will be monitored with scientific rigor,” says Berry, noting that landowners participating in forest carbon markets are obligated to report annually, and are subject to a third-party verification every six years. The revenues from the carbon project will immediately be used to fund further stewardship of the property. Additionally, the Conservancy plans to leverage funds to advance renewable energy projects and potentially other forest acquisitions in the state. In the meantime, the goal of the upper St. John Project is to share lessons learned and results with scientists, other conservation groups, public agencies and private landowners.